One day a mobile clinic came to Magdalena’s village. Her neighbors encouraged her to go but she felt so hopeless. 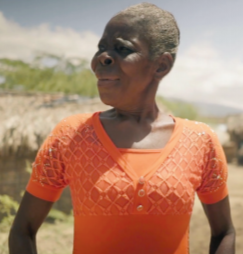 Eventually, she gathered her courage and went to the mobile clinic where they welcomed her. And most amazing, they told her that they had medicine, supplied by MAP International, that could heal her. Watch video of Magdelena's incredible story here. Read more stories of hope and healing in our Winter 2019 Newsletter. Let us know your thoughts!